Inter Milan and Marseille will contest the first of the two semi-finals in this season’s NextGen Series. The two clubs defeated Sporting Lisbon and Aston Villa respectively to take one step closer to the final. Inter Milan won away from home to the Portugese outfit, who impressed throughout the group stage. Sporting remained unbeaten throughout the tournament with their only slip-up coming against German giants Wolfsburg, in which they contested a goalless draw. Inter Milan however, started the tournament with a monsterous 7-1 defeat to Tottenham Hotspur, who will play Liverpool in their semi-final on 1st February. The hosts were everyone’s favourites for the tournament but a strong performance by Inter Milan showed that they were no pushovers and now can make a serious bid for the title. Inter started very defensively and their approach almost backfired as Lukas Spendlhofer almost deflected a cross into his own net. Inter defender M’Baye scored the only goal of the game as he latched onto a perfectly timed cross in order to strike past Sporting goalkeeper Ricardo Veloso. Sporting scuffed a glorious opportunity to equalise later on in the half as Alberto Coelho, who has been attracting a lot of attention throughout this tournament, saw his effort miss the goalframe. Inter will play Marseille at home in the semi-final. 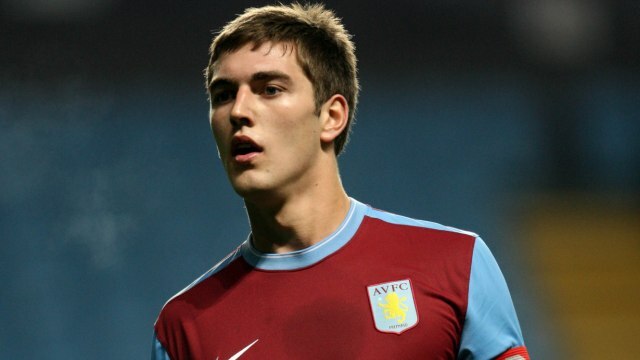 Marseille defeated Aston Villa at Villa Park after the tie was taken into extra-time following an equaliser from Gary Gardner in the 90th minute. Gardner was in triumphant spirits after being handed his Premier League debut at the weekend against Wolves, but here he was back to the youth squad to help them through a pulsating match. Despite his early efforts coming close to putting the Villains ahead, Chris Gadi scored the opener for Marseille. Villa piled on the pressure throughout the rest of the game and their equaliser was deserved at a time when hope was slowly fading. Michael Drennan’s low shot was saved by the Marseille keeper, but was only parried into the path of Gardner who sent the players into raptures with their celebrations. Unfortunately, it was Gary Gardner’s deflection that saw Marseille score their final and most important goal. Loicono’s shot deflected off the youngster and into the path of Bioff Omrani who fired into the net. Drennan had one more attempt to savour any hope for Villa but he saw his effort ruled out for offside in the very closing stages of extra-time. The Youth Radar will provide the latest news on the NextGen Series and all the other quarter final action.